Looking for solar panel installation in the Caribbean? There is no better location for renewable solar, wind, and microgrid energy, especially for your resort or business, than in the islands of unlimited sunshine and breezes. Let SolarIsland Energy save your island business time, money and energy by engineering your solar panel and microgrid installation. We are your premier renewable energy company in the Caribbean and beyond! Originally founded in 2009, SolarIsland Energy’s team has vast experience in renewable energy dating back to the early 1990s. Our American headquarters are located in St. Louis, Missouri, and Miami, Florida. Our Caribbean offices are located in Nassau, Bahamas; Providenciales, Turks & Caicos Islands; Tortola, British Virgin Islands; and Castries, St. Lucia. SolarIsland Energy is a licensed Engineering Corporation that employs NABCEP-Certified Solar Installation Professionals, (North American Board of Certified Energy Practitioners). 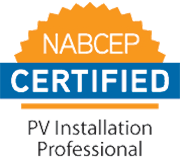 The NABCEP certification is known as the “gold standard” for PV and Solar Heating Installation and PV Technical Sales Certifications, which means you’re getting the most highly skilled professionals by solar energy industry standards. All of our engineers are licensed in many areas and have engineered and constructed over 500 PV projects and over 80 energy storage plants in the US and overseas, including the Caribbean, North America, Central America, and Saudi Arabia. The engineering team is also responsible for evaluation and integration of new technologies and optimizing the deployment of more traditional systems. This team has completed many advanced “microgrid” and “diesel-hybrid” projects, including battery storage, fuel cells, electric vehicle charging/storage, and centralized metering of electricity and both solar-thermal and waste-heat hot water. We also have a commissioning team providing agent and forensic services to financial institutions, portfolio managers, building owners, and other solar developers for performance verification, warranty compliance, insurance settlement, and disbursement management. Because of our caring, professional, highly-skilled teams and our top-performing products, SolarIsland Energy attracts and retains the best and brightest talent. Each of us is motivated by our renewable energy and green building mission, creating a unified team across the Caribbean. We believe every client deserves the highest level of safety, performance, and aesthetics and are committed to delivering this and more through our rigorous quality assurance program and continuous attention to detail. We work tirelessly to earn your trust and deliver a solar panel system that exceeds your expectations. Because of this philosophy, we have become one of the leading renewable energy development and construction companies in the Caribbean. 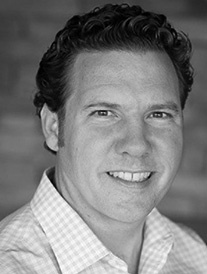 Marc Lopata is President of Solar Island Energy, a Caribbean-based, solar energy, microgrid, and energy efficiency engineering and construction company. 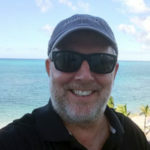 Marc is a licensed, Professional Engineer with over 20 years of experience, and able to seal plans in Florida and selectively throughout the Caribbean. Marc is the engineer-of-record on over 400 solar projects, 80 microgrid and energy storage projects totaling over 75 MWh of energy storage capacity, and a dozen utility-scale solar projects. 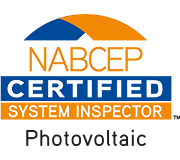 Marc is a NABCEP-certified Systems Inspector, one of only 40 worldwide and the only certified system inspector in the Caribbean. 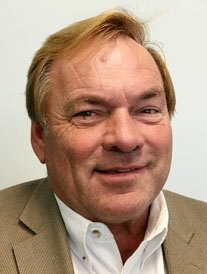 Marc’s prior career focused on ocean engineering and data center engineering and construction. He managed engineering at Harbor Branch Oceanographic Institution – building solar-powered undersea equipment, robotics, instrumentation, and various marine-related projects. After that, Marc directed engineering and construction of data centers and telecom infrastructure for Verizon. This diverse experience is the foundation for his expertise in solar energy, energy performance of commercial buildings, and island and marine project development. Marc also is involved in a variety of nonprofit and governmental entities. This includes a decade on Planning and Zoning Commissions, and five years on the Board of Directors of the US Green Building Council in St Louis with two years as Board President. Marc is a regular speaker, presenter and trainer on solar-energy-related topics to trade groups, firefighters, and first responders. 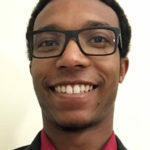 He is a solar-energy technical advisor to the World Bank for the Eastern Caribbean, and a peer reviewer of hurricane survivability for the National Renewable Energy Laboratory. Recently he was a panel member at the 2017 Caribbean Renewable Energy Forum discussing next generation microgrids and in 2018 at the Puerto Rico Solar Energy Industries Association discussing distributed generation, reliability and survivability in the Caribbean. Marc divides his time between our engineering headquarters in St Louis, Missouri, and his home in St Petersburg, Florida. He also spends considerable time with our Caribbean clients and with Solar Island Energy joint-venture partners in in the Bahamas, Turks and Caicos, US Virgin Islands, British Virgin Islands, and St. Lucia. 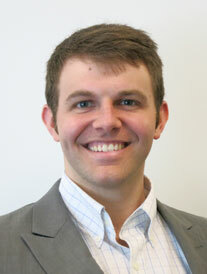 Daniel is a degreed engineer and a licensed Engineer-in-Training (EIT). 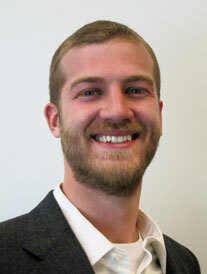 He is our Lead Engineer on the solar and microgrid design team and is an NABCEP-Certified PV Installation Professional. He has extensive experience designing photovoltaic projects ranging from large-scale, industrial, and ground-mounted arrays, to AC and DC-coupled microgrids, and off-grid systems. PV projects are Daniel’s expertise–he has engineered PV jobs as large as 2.4MW capacity, as well as large tracking arrays. 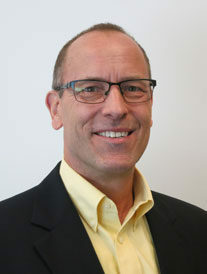 He has performed the range of engineering analysis and project administration for nearly a dozen energy-storage projects, designed as both AC- and DC-coupled architectures. He has been the team lead for the design, installation, and development of over 200 projects, and has been the sole designer of over 11MW of installed PV systems. Engineered many PV projects as large as 2.4MW capacity, as well as large tracking arrays. Team lead for the design, installation, and development of over 200 projects. Sole designer of over 11MW of installed PV systems. 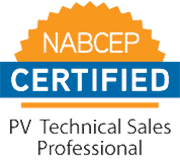 Paul is a NABCEP Certified energy professional that has worked in the renewable energy industry for the last five years. He has been instrumental in the development of hundreds of clean energy projects throughout the US. 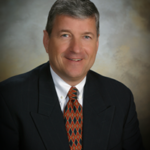 His clients include Fortune 500, commercial & retail, industrial & agriculture, developers & GCs, K-12 & nonprofits, military & government and higher education. His experience includes project development for solar PV, energy storage, solar thermal and energy efficiency with expertise in modeling of traditional and innovative financial solutions. When Paul isn’t considering the solar potential of buildings he drives by, he enjoys being a husband and dad. His two young boys keep him very active. In his free time he serves on a couple not for profit boards and volunteers his time cleaning streams and mentoring elementary school students. 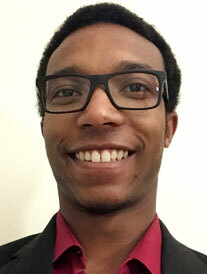 Deko has been on the Azimuth and SolarIsland team since 2016, when he joined us as an Engineering Intern. Deko is graduating in 2017 from Washington University with a Bachelor’s Degree in Electrical Engineering. Deko has participated in the engineering design for over 14MW of PV projects for utilities, private islands, resorts, and commercial clients, including microgrid and diesel-hybrid projects. 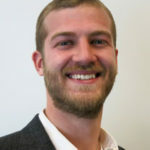 He also worked for the Washington University Office of Sustainability on its renewable energy expansion; assisting in the management of multiple distributed generation PV projects across the campus portfolio. His experience includes significant expertise in solar-cell architecture and circuit design. 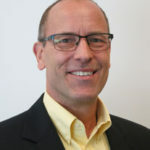 This has made him a leader in microgrid controls, operation of circuit analysis software, and also more recently reaching the expert level using CAD, Helioscope, and other software design tools. His solar-energy areas of expertise are Power Electronics Circuit Design; Transient Analysis; and Solar-PV System Design. A recent graduate of Missouri University of Science and Technology (MS&T), Cory is the newest member of the design and engineering team. 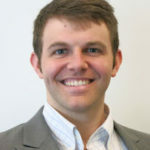 His experience as the Sustainability Coordinator in the Office of Sustainable Energy and Environmental Engagement at Missouri University of Science and Technology gave Cory the opportunity to engage in the operational and long-term planning of Missouri S&T sustainability initiatives. He used his time with Missouri S&T to play an instrumental role in the adoption of a fully electric campus transportations shuttle. As a concept architect and technical liaison to Missouri S&T, Corey also participated in the Solar Village Microgrid, a campus residential community that integrates solar generation, CHP fuel cells, energy storage, and advanced control switchgear. Frank brings over 15 years of commercial construction experience to the operations team at SolarIsland Energy. He has worked on over 85 solar projects ranging from large-scale ground mount arrays to commercial rooftop to residential arrays. He began his path to renewables after starting out in residential energy efficiency where he performed over 300 home energy audits and managed energy upgrades for over 1600 homes. Involved in over 85 solar projects ranging from large-scale ground mount arrays to commercial rooftop to residential arrays. Performed over 300 home energy audits and managed energy upgrades on over 1600 homes. Managed historic tax-credit renovations on commercial and hospitality properties. Jade Hutchinson directs the St Lucia operations for SolarIsland Energy. 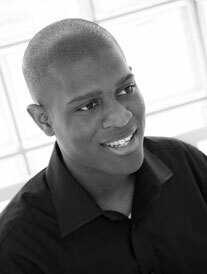 Jade also is a co-founder at Noah Energy, a local energy company operating in St Lucia. His responsibilities include project development and implementation, client acquisition and company strategy. 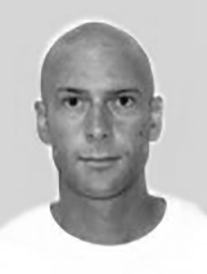 Prior to this position, Jade’s unique blend of experience includes the London 2012 Olympic games, leading on cross-team infrastructure projects such as a £10m external lighting programme and external wayfinding that supports navigation through the various stages of the park development; and brand implementation for the Hamad Medical Corporation (Qatar), Volkswagen, Virgin Media and the Saint Lucia School of Music. Jade is a forward thinker with a passion for design and clean energy technologies. He believes that the next great technology can be developed in the Caribbean leading to a more sustainable future. Managed a £10million external lighting programme on London2012 Olympics from strategy to delivery, helping the programme save 40% on the cost of the lighting products. 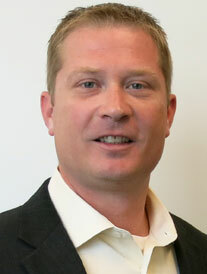 Darrin brings over 20 years of experience in construction to the SolarIsland Energy team. His extensive solar energy background includes managing over 275 projects for a national solar integrator based in San Francisco, CA. Darrin’s general construction experience and expertise also are assets and benefits for us and our clients; he has managed or played key team roles on over $90M in construction projects. Darrin grew up in a small town in Illinois, and served four years in the US Marine Corps. Project Manager for two utility-owned, community solar projects. Engineered and constructed for Prairie Power Incorporated; Springfield, IL. Two project sites, totaling 1.2 MW. Completed in 2015. 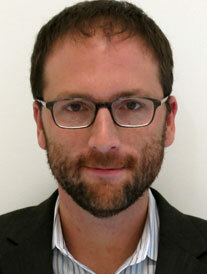 Project Manager for five utility-owned, grid-asset solar projects. Engineered and constructed for Central Iowa Power Cooperative (CIPCO). The sites total 5.5 MW. Completed in 2016. Gateway RT – 673,000 square foot commercial new construction. This joint-venture project is a tilt-up warehouse, located near Edwardsville, IL. Completed in 2014. Bramblett Hills Apartments – Construction Manager of an 18-building, 204-unit, apartment development located in O’Fallon, MO. Completed in 2016. Alinea at Town and Country – Construction Manager of a 3-building, 254-unit apartment development in St Louis, MO. Completed in 2015. 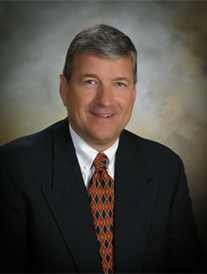 Gary has over 30 years of success managing over $2 billion of new construction projects throughout the United States in a variety of business markets, public works, and private enterprise. His specialty is Wind and Solar Power, ranging from 200kW to utility scale deployments. He’s also been the Construction Executive in charge of individual construction projects in public works such as a $240 million municipal water treatment plant and a $275 million water and wastewater plant. Prior to joining SolarIsland Energy, Gary was the lead project manager with Azimuth Energy, and VP of Power Markets at J.S. Alberici Construction Company in St Louis, Missouri, where he served many clients across the country. Gary is a frequent instructor in construction technologies. He currently teaches classes in Project Management Superintendent Training for the Associated General Contractors at local colleges. Gary is an expert in project scheduling and logistics, and interfacing seamlessly with utilities, public works, and other municipal and governmental departments. 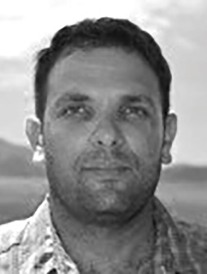 Dan has over 10 years experience in the solar industry with over 20 years experience in business development. He has delivered many renewable energy projects to the US Department of Defense, including combined solar/wind, solar structures and basic rooftop arrays. He has worked with the banking industry, completing a highly successful and profitable tranche for one of the largest debt financers in North America. Other areas of focus have been non-profits, educational markets, including K-12 and higher education, as well as several and various commercial clients. 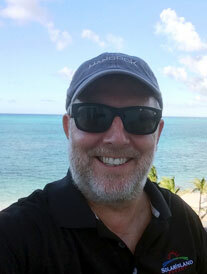 Dan’s background includes service in the Air Force as a crew chief in AWACS, later he became a pilot and provided assistance to the National Forest Service, and has experience in selling advanced technology solutions for Fortune 500 companies and tech start-ups. Dan’s diverse background and experience in delivering technical solutions with complex finance offerings has proven to be perfectly suited for the challenging energy environment of the Caribbean. Maya Doolub has a wealth of experience working with global clients to accelerate the deployment of market based solutions for sustainable social and economic growth in communities, with a key focus on working with islands to increase their resilience, demonstrating solutions which are both replicable and scalable. Maya’s approach is to demonstrate that there can be no more business as usual, and that the private sector can and should play a key role in the implementation of development programmes, leading to the scaling of sustainable solutions. Maya’s passion for entrepreneurism is underpinned by development of projects and solutions for islands, working with local start ups committed to demonstrating the full breadth and depth of natural resources. Working with governments to demonstrate will and commitment through policy, Maya aligns partners and work programmes to connect vision with execution of low carbon development pathways, identifying the commercial opportunities these present to stimulate the market and catalyse the flow of private capital to support implementation of projects which drive local capacity building and job creation. Maya provides strategic advisory services to governments and non profits, facilitating partnerships and coordinating efforts to ensure the effective utilisation of resources across the non profit sector. 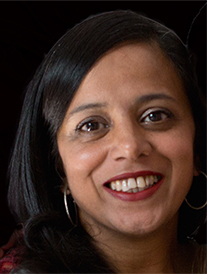 Having started her London based consulting firm, elms consulting, eight years ago, Maya has enjoyed working with a number of large organisations across public, non profit and private sectors to drive change from policy through to implementation, with a key focus on sustainable development, and in particular, climate change. With over 30 years of experience running Caribbean utilities Nigel brings a unique perspective to the challenges facing Island utilities and their customer base . He served as Chairman of Caribbean Electric Utility Services Corporation (CARILEC) from 1996 through 1999. Nigel divides his time between Tampa and the Turks and Caicos Islands. Brian has been living and working in the BVI for over 8 years. He began his career in automotive engine repair with experience in Scania and Volvo engines and has since advanced to hold qualifications in Diesel and Propane generator design, installation and service. Certified by FG Wilson and Generac, he ensures that you are well taken care of in all of your service area needs. Sean has been living and working in the BVI for over 10 years. He is known for his friendly, can-do attitude and practical manner in all electrical, mechanical and communications based jobs. Sean has been involved in the design, installation, and upkeep of the larger distributed power generation plants. He is an industry leader in generator synchronization and data communications and holds an EGSA certification in generator power production. The EGSA certification program identifies technicians who not only have a broad knowledge of electricity, mechanical and electrical components and the interaction between them, but are proficient in the installation, service, maintenance, and repair of On-Site Power generation systems. Sean is also a licensed BVI electrician. Find out what the perfect custom renewable energy solutions are for your needs. Copyright © 2019 · All content owned by SolarIsland Energy. Website created and managed by Worry Free Marketing, St. Louis. Sitemap.